Turning on one’s television and watching the news for a few minutes is enough to get acquainted with the tragic situation in Syria. More than 200,000 people have been killed. More than three million (!) have escaped the atrocities of a multi-front war and are simply trying to seek refuge, mainly in Europe, where they are not welcome. Thousands, among them many innocent children, have died in pursuit of safety. One can argue that wars and subsequent refugee waves have been a part of human history, especially in the Middle East, and that this conflict is not an exception to the rule. But a quick look at the complexities on the ground and the number of people involved proves that this indeed is one of the worst humanitarian crises in the last few decades. As in any similar case, the civilized world is overtaken by a storm of calls for help and debates about whether and how to assist. Obviously, one of the most urgent issues at hand—besides the cessation of fire, fighting ISIS, dealing with Assad, and countering the Russian and Iranian influence in the region—is the absorption of refugees. This has been the focus of heated arguments and many countries have been forced to declare quotas on the numbers of people they can host. Due to their proximity to the area of the conflict, Israel and the surrounding (prosperous and peaceful) Arab countries would seem a logical destination for these persecuted people. There are many complex arguments both for and against a role for Israel in alleviating the current crisis. Those who argue for Israel’s involvement recall the obligation, placed upon the Jewish people by the values of Judaism, to care for the stranger and to function as a light unto the nations by leading the way to make this world a better place. This obligation is augmented by our own experience throughout centuries of being persecuted refugees. In addition, such a move would certainly boost the image of Israel in the international political arena where it has been continuously under attack. Israeli, unlike European, opponents of such a move surprisingly do not use arguments related to financial issues or the fact that the Israeli society cannot absorb more immigrants. Rather, their arguments focus on the significant security risks that such a gesture would entail (something that has started to become a factor in Europe and the US) and on the demographic balance between Jews and non-Jews. Primarily, as people who perceive our tradition and religion as an ethical blueprint guiding our behavior, we are taught and encouraged by various passages in the Tanakh not only to tolerate the stranger among us but also to extend a hand whenever needed and treat him/her as an equal. From the very beginning, we are informed that G-d made humanity b’tzelem Elohim, thereby making it obvious that every person is worthy of respect and dignity. Our forefather Abraham was always looking for strangers in order to show them hospitality (Genesis 18:1–15). Throughout the book of Genesis, numerous passages talk about our forefathers and foremothers being immigrants and refugees. Even after our Exodus from Egypt, when Israel was formed as a nation, calls for the fair treatment of strangers continued. In Exodus 23:9, we learn, “Do not oppress the stranger. You know the feelings of a stranger for you were strangers in the land of Egypt.” Leviticus 19:33-34 teaches us that, “if a stranger resides with you in your land, you shall not do him wrong. The stranger that resides with you shall be unto you as the citizens among you, and you shall love him as yourself; for you were strangers in the land of Egypt: I, Adonai, am your God.” Deuteronomy 10:19 repeats this call by saying, “Therefore love the stranger; for you were strangers in the land of Egypt.” These are not the only passages regarding hospitality and treatment of foreigners but they are characteristic of the biblical approach towards strangers. 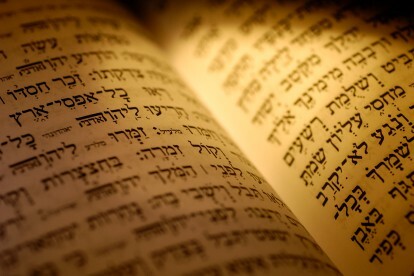 No matter what our level of religious observance, the Tanakh can at least be perceived as a moral teaching imbuing us with a value system that repeatedly cries against any form of mistreatment of strangers or xenophobia. Furthermore, as Jews we have been persecuted and felt what it means to be unwanted refugees. We should, therefore, be especially sensitive to the plight of the displaced Syrians. It has been ingrained in our DNA to be unable to stand idly by as the blood of our neighbor is being spilled. The daily images of helpless children trying to reach a safe haven away from the senseless violence plaguing Syria cannot and should not leave us unmoved. The vast majority of Israeli Jews know first hand what it felt like to be refugees without anyone being there to give them a hand. We should feel morally obliged to help people that are currently in the same position. This, by itself, is enough of a reason to make Israel offer to accept a number of refugees. Additionally, if Israel volunteers to absorb Syrian refugees, especially in contrast with all the affluent surrounding Arab countries that have shamelessly refused to accept any of their fellow Arabs from beleaguered Syria, its image in the international diplomatic arena will receive a much-needed boost. For decades, the UN Human Rights Council has been bashing Israel in what every non-prejudiced person can see is an unfair and politically motivated treatment. Moreover, movements such as the BDS will be dealt a hit that will cause them to lose legitimacy. Israel will not only fulfill its moral obligations by helping any number of Syrians, but will at the same time gain politically. It is possible that this could slightly change the way that the average Arab and Muslim person perceives Israel: as an island of democracy and human rights in a sea of authoritarian regimes that do not care about the welfare of their citizens. Opponents of such a move primarily employ the argument of Israel’s unique security situation that would make it extremely risky to absorb even a relatively small number of people from a hostile country. This concern has become even more relevant due to recent calls from terrorist organizations, such as al-Qaeda or ISIS, for their operatives to infiltrate refugee groups absorbed by western nations in order to subsequently function n as Trojan horses. We are all aware of the daily attempts to carry out terrorist attacks against Israel and its citizens, and certainly anything that might facilitate such an attack should be avoided, even if it means that innocent Syrians will pay the price by being barred from entering Israel. Another factor is Israel’s sensitive demographic situation. Israelis have feared for a long time that allowing any large number of foreigners can lead to a potential corruption of the Jewish character of the State. When the group happens to have the same ethnic background as the Palestinian population, the problem becomes even more serious and leads to a stalemate. After examining all the arguments, one can be led to the logical conclusion that both sides possess valid points. This is exactly what is happening in Israel right now, and it has led to the blocking of any serious effort to absorb a substantial number of Syrian refugees. Meanwhile, people suffer and are being killed either by one of the fighting sides or by the indifference of the western world. It should be obvious to all of us that something has to be done now! We cannot stand idly and see the blood of our neighbors being spilled! We are Jews, and we have the moral obligation to act. It is true that this is not our fight and that there are risks involved. But the risk of losing our humanity and losing track of our mission in this world is even greater. We cannot afford such a thing. After all, we are commanded to be the light unto the nations. We must make sure that we find a way to help the Syrians. I strongly believe that, while helping Syrians, we can and must consider all the security concerns and make sure that our gesture is not taken advantage of by hostile elements. Israel has the technology and the necessary experience to prevent terrorists from infiltrating by posing as refugees. To address the arguments of those against the acceptance of the displaced Syrians, a compromise could entail the absorption of only women, children, and the elderly, all categories that statistically have been less involved with terrorist activity. Moreover, every single refugee that enters Israel could be placed in temporary facilities, as is done in most European countries such as Germany or Italy, until he/she undergoes a very strict background check. The shelter provided would be of a temporary nature, as long as hostilities continue, thereby satisfying those who are concerned about the demographic factor. When there is a will, there is a way. Israel has managed to overcome many adversities and create an advanced, democratic state in such a short time. Surely she has the ability to solve new problems that may come up and help save the lives of innocent human beings that find themselves in the midst of a civil war that is characterized by blind hatred. Even if this gesture is not recognized by the nations of the world, it will still allow us to reap the most profound benefit of all: to do the mitzvah of helping our fellow humans, our neighbors, and thereby connect with the Divine.